It is the honor and pride of Dhanggit's Kitchen to host this week's Weekend Herb Blogging. This fabulous event that puts vegetables, herbs, plants and fruits into the limelight has gone a long fruitful way since Kalyn of Kalyn's Kitchen created it. WHB is now in the nurturing hands of Haalo of Cook Almost Anything but it still carries the same aroma and passion for anything green. Well actually color does not matter :-) The rules are simple, post about any herb, fruit, vegetable, flower or plant. The post can be informative, a spotlight of a particular ingredient and/or a recipe where your chosen produce is one of the primary ingredients in the recipe. 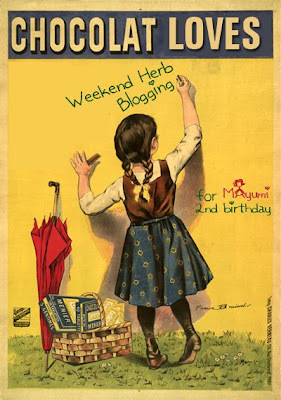 The post should include about the event "Weekend Herb Blogging" with appropriate links and a link to this announcement. And to make this event even more exciting (but this is optional!) as my daughter turns 2 year old this week and she loves chocolate so anyone who wants to include chocolate in their post is highly appreciated! Post your entries anytime this week but remember to send me your entries before the cut-off time. To know more about hosting guidelines and scheduled host check-up the link here. We eat vegetables and fruits more than three times a day and we all love chocolate. So you have no reason not to send me your entry. 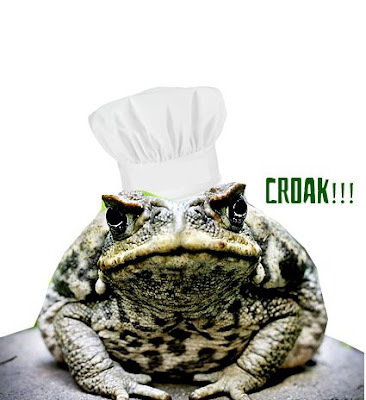 Or if not I'll cast you my magic spell and turn you into a cute toad. LOL Just kidding. You have until this Sunday August 9 (American Time) to send me your delicious entries. Advance Happy Birthday to Mayumi! Wow this is a great event, I'll think of a recipe or maybe not co'z I am no cook I am simply a gourmand ;) ! Happy Birthday to your daughter! A wonderful event! Happy Birthday Mayumi! Will see if I can do something this weekend! Dhanggit Happy birthday to Mayumi is absolutely adorable! I love her! Advanced Happy second birthday to Mayumi!